Alice Cohen is a musician and visual artist based in Brooklyn, NY. Growing up in Philadelphia, with jazz musician parents, the “Philly Sound” was a huge influence. Cohen began playing her songs in coffee houses, when she was 14, then went on to sing and play in bands in the late 70s, honing her skills in disco cover bands. In 1979 she had her first release with Philly funk band Fun City, “Save the Best for Last” (Chrysalis Records), and in 1982 wrote the dance floor classic “Deetour” for Atlantic Records’ disco singer Karen Young. In the 80’s she was in the synth-pop band The Vels (Polygram Records), and in the 90’s she sang and played bass with grunge band Die Monster Die (Roadrunnner Records). In more recent years she has released 5 solo LPs. With “Artificial Fairytales”, her 6th, she is joined for the first time by members of her live band, Adrian Knight and David Lackner aka “The Channel 14 Weather Team”. The live band has grown to include Zach Phillips on bass, and Ryan Power on drums. In addition to her musical output, Cohen is also a visual artist known primarily for her work in stop motion collage animation. She has created numerous music videos, and her work is shown in galleries and screenings worldwide. We’re thrilled today to announce a brand new full-length from an NNA newcomer, and our 2nd vinyl release of the year. Alice Cohen & The Channel 14 Weather Team’s ‘Artificial Fairytales’ is officially available now for pre-order on Vinyl, CD, and Digital formats. Alice may be new to NNA, but she is no stranger to the world of music. Having been immersed in music since childhood, Cohen has been writing songs, performing, and playing live since age 14 in her hometown of Philadelphia. 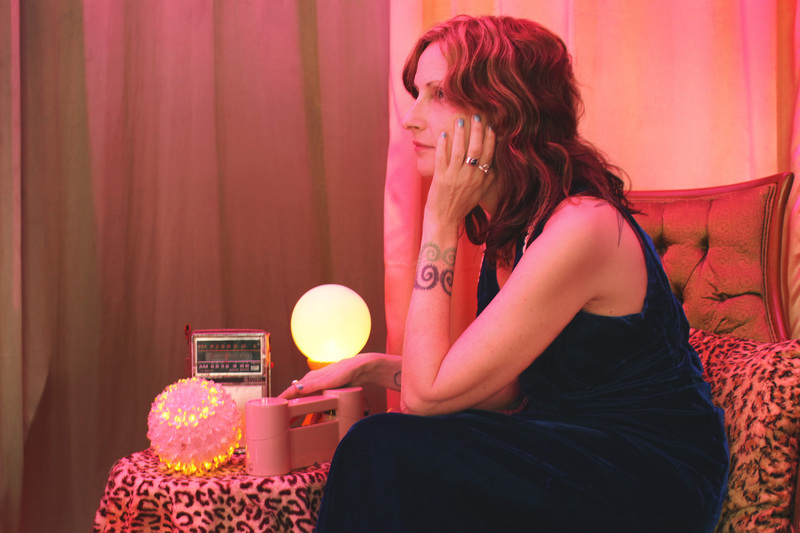 Traversing through the realms of soul, funk, disco, new wave, and grunge, Alice has since settled in New York City, working diligently on her solo work in the modern art pop underground. 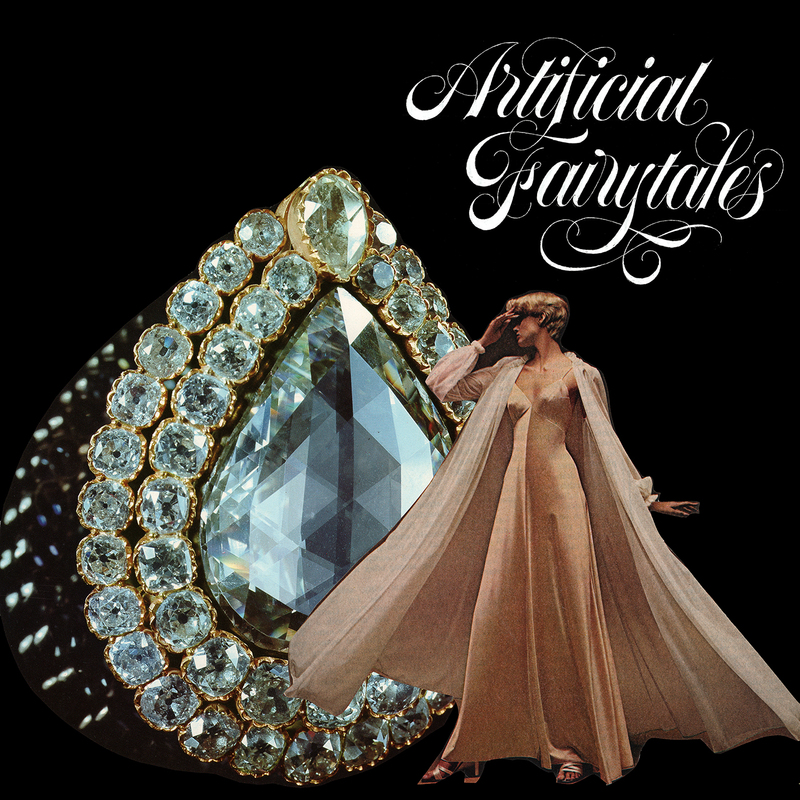 ‘Artificial Fairytales’ is her sixth solo full-length, joined now by The Channel 14 Weather Team (Adrian Knight and David Lackner) to build upon her sound, presenting us with 9 fresh tracks of rhythmic electronic synth pop goodness. She has recently expanded her live band to include NNA family Ryan Power on drums, and Zach Phillips (Blanche Blanche Blanche, OSR) on bass. This album is a truly special addition to our discography, and we’re so excited to bring this album to life in the true NNA spirit of audio-visual artist collaboration. Alice is also a talented visual artist, working primarily in stop-motion collage video. We’re happy to share this teaser video made by the artist herself, giving a sneak peak of what’s to come. Watch below or on our YouTube page. ‘Artificial Fairytales’ is available now for pre-order in our Shop. Also available for pre-order on Bandcamp. Officially available worldwide on May 31st, 2019. ★ The first 100 LP copies will be pressed on Lavender & Slate Blue swirl vinyl – first come first served, no additional charge. The remainder of the edition will be pressed on black vinyl.